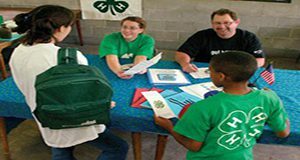 This 4-page publication is one in the series Risk Management for 4-H Youth Development Work. It reviews policies and best practices for understanding insurance when working with UF/IFAS Extension programs. Written by Stefanie Prevatt, Dale Pracht, Paula Davis, Janet Psikogios, Marilyn Norman, Kate Fogarty, and Jean Hink and published by the UF/IFAS 4-H Youth Development Department, February 2018. The Affordable Care Act is a legislative act that has provided individuals and families more choices related to healthcare insurances. It offers consumers new protections and benefits by creating a more defined Patient’s Bill of Rights. This 2-page fact sheet was written by Deanna Andrews and Martie Gillen, and published by the UF Department of Family Youth and Community Sciences, May 2014. The primary purpose for buying life insurance is to protect the people who depend on you. A life insurance policy can help to ensure your family’s financial needs are met even after your untimely death. Life insurance can also provide a way to leave a cash gift to your spouse, children, grandchildren, or charities. Once you decide to buy a life insurance policy, you will have a few decisions to make. You will need to select among the different types of life insurance, decide on a dollar amount, and name your beneficiaries. In this publication, you will learn about the different types of life insurance and the ways to determine the amount of life insurance you may need. This 4-page fact sheet was written by Lisa Leslie and Martie Gillen, and published by the UF Department of Family Youth and Community Sciences, October 2013.